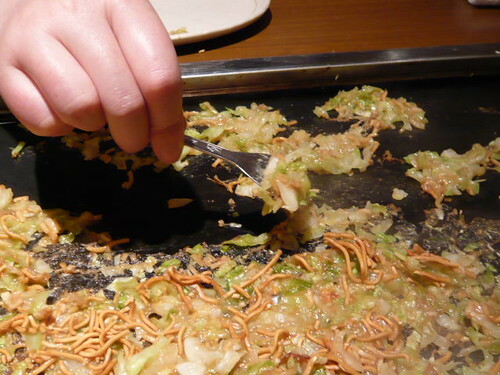 What Japanese food “Monjayaki” ? Do you know “monjayaki”? 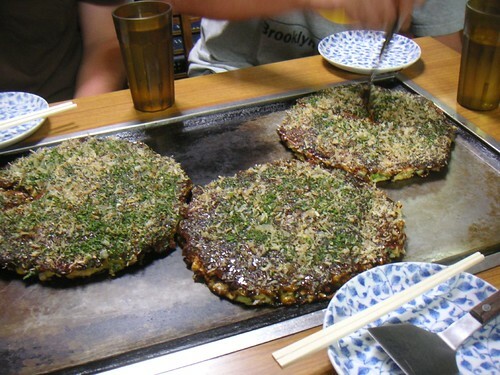 It’s similar to “okonomiyaki”, but “monjayaki” is known as a snack food of Kanto area including Tokyo, while “okonomiyaki” is its counter-food in West Japan such as Hiroshima or Osaka. 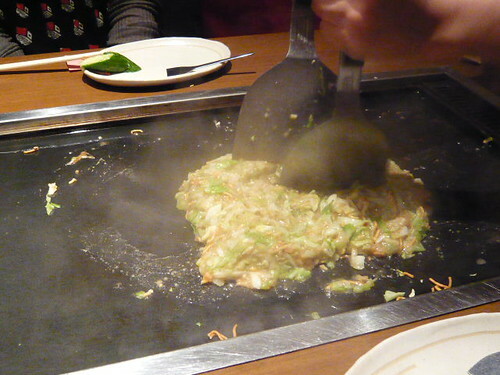 “monjayaki” is made like this: Firstly mix the ingredients like cabbages and sea food with water and flour, then place the mixture on a heated plate. As you turn and mind the mixtures with scraper tool, the liquids is evaporated. Once the mixture is partially sort of burnt it is ready. Now you’d take the individual smaller scraper and help yourself a small portion by scraping the cooked (burnt) mixture directly from the plate. I know eating burnt bits is rather wired and shocking way of eating, but it is tasty. There is a “monjayaki” restaurant that had celebrities including Brad Pitt visited in Tukishima, a downtown area of Tokyo. I reckon trying ”monjayaki” is becoming a part of Tokyo tourism for foreigners?